Anybody Want a Peanut? 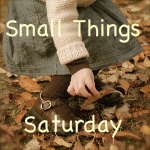 : Small Things Saturday: Those Curls! Have you ever seen anything like these? I never in my life thought I'd have a curly haired kid. These curls usually flatten out a little after a night of sleep, and they get very messy. But shortly after a bath, they are absolutely perfect. And I love every one of them. My grandson's curls are a thing of beauty. Remember that the next time you have to untangle them! So cute! My little one has those too, but my husband insists on us keeping his hair short. His are a little tighter and not as soft, I guess you could say, so it's not quite as nice. Gorgeous hair! My daughter has curly hair too! I LOVE it! I hope she always does too! Awww so cute! My youngest has curls like that and you're not kidding about the mess. Post-bath is perfect timing for a picture! I love it. So many curly haired kids here! Lynn - My daughter has baby curls around her ears and back, but all the top is straight. I just know when I cut her hair, the curls will never come back. So I'm never cutting them. My daughter had curls like this till my mom cut her hair and they all fell out. I was so upset. I am having rouble following you - the follow button is not working but I do have your button.